KR: There was some contact in front of me through the first corner so I stuck to the inside, but unfortunately one of the Caterhams touched my front wheel and it broke the track rod. It wasn’t a heavy impact, but the angle made it worse and i had to retire from the race. Q: SOME WERE SUGGESTING A PIT LANE START MAY HAVE BEEN WISE; WOULD THIS HAVE MADE A DIFFERENCE? KR: It’s never easy starting so far back on the grid, but after the penalty it was a better choice to help our chances in the race rather than starting from the pit lane. After a difficult start to the weekend we did well yesterday so it was a shame we couldn’t start where we qualified, but these things happen sometimes; it’s just back luck. Q: ANY THOUGHTS HEADING TO AUSTIN? KR: It wasn’t the best weekend here in terms of results, but the car has been much more to my liking so hopefully it will be the same again at the next races. If we can keep it how I like it then we’ll be able to push for some better results, so we’ll see how it is in Austin. 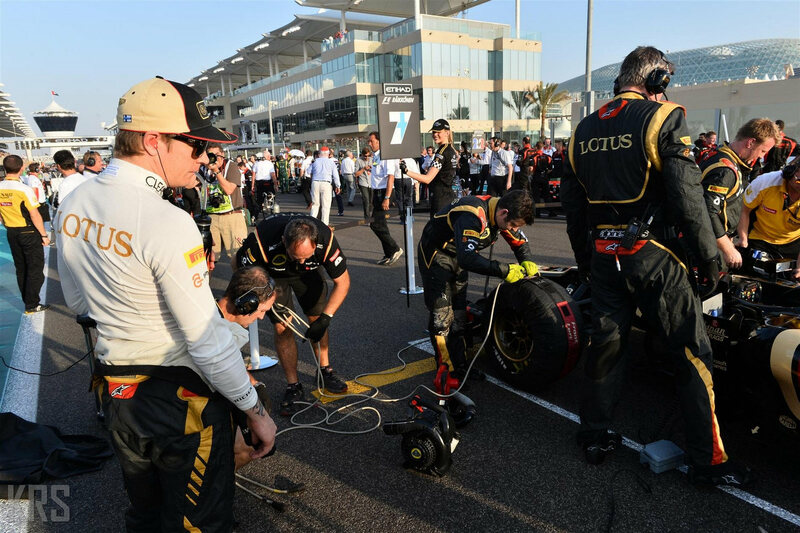 Lotus’s long-term Formula 1 future received a major boost on Sunday night when investment group Quantum Motorsports said its deal to buy into the team was complete. After a weekend when questions about Lotus’s financial state emerged following Kimi Raikkonen’s threat to not race because he had not been paid, major progress was made in the much heralded agreement. “There is no question that the deal is definitely happening,” he said, when asked by AUTOSPORT about the latest situation. Ijaz said he was sorry for allowing the matter to get so out of hand after meeting with Raikkonen’s manager Steve Robertson on Saturday night. I watched that again carefully, and I must just say that it was Kimi’s fault entirely. I don’t really understand why he was so aggressive into the first corner when there were still so many laps in which to gain places. Silly silly boy! So much has happened over the last few weeks. Is the Iceman finally melting?